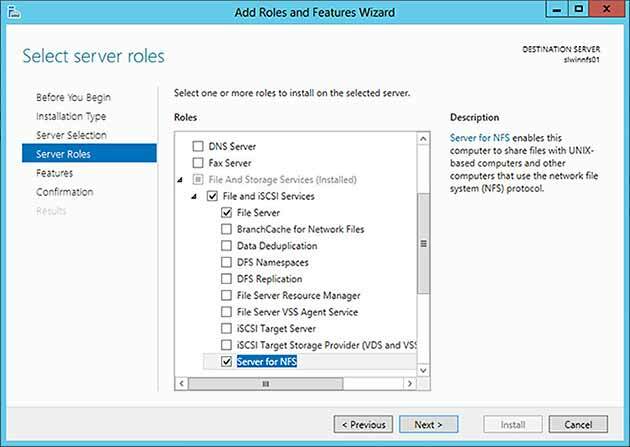 On the Select server roles screen, expand File and Storage Services, expand File and iSCSI Services, and then check Server for NFS. Click Add and then enter the IP address or hostname of the client(s) you want to allow connections to. 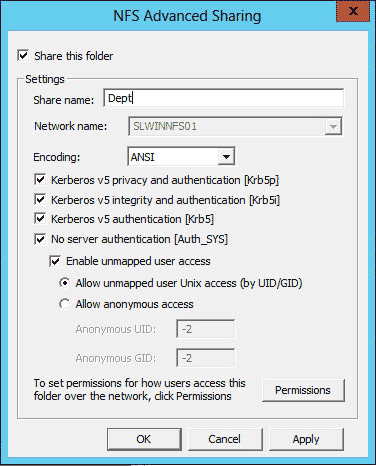 When added, you may also select whether they have readwrite access or read-only access. 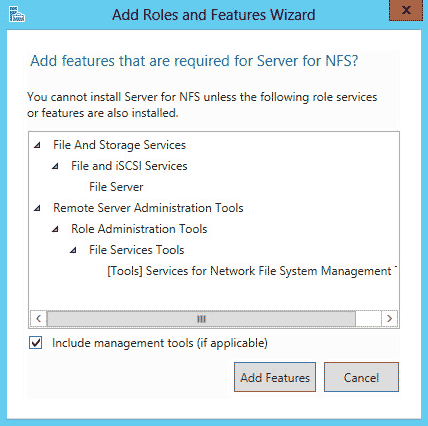 You now have a simple NFS share hosted on a Windows Server 2012 R2 box.